How many times have you heard that sugar is bad for you? The adverse effects of excessive sugar consumption are numerous. Meanwhile, sugar seems to be highly addictive. 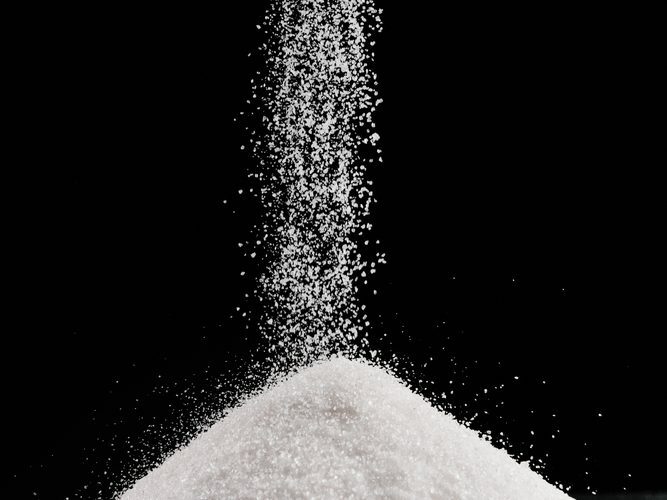 People force themselves to stop consuming sugar while suffering certain abstinence symptoms. The key to consuming less sugar is to watch your diet. Unfortunately, some people can’t stop themselves from binging on sugar-filled products. Cutting down on sugar is possible. Doing it gradually can help you avoid unpleasant symptoms, such as lack of energy and bad mood. Below are some tips to help you consume less sugar and become healthier. The majority of the drinks you can buy at the store or your nearest fast food joint are filled with sugar. Soft drinks, such as Coca-Cola, Fanta, Sprite, and the like have a whopping amount of sugar in them. If you need to reduce the sugar in your diet, you must eliminate these drinks. A 600 ml bottle of Coca-Cola contains 64 grams of sugar! Some people believe that while soft drinks are bad, juices and smoothies contain less sugar. Unfortunately, anything you buy at the store is likely to contain large amounts of sugar. The only way you can make sure your drink doesn’t have too much sugar is either to buy water or to make juice and smoothies at home. The majority of desserts come loaded with sugar while not providing too much nutritional value. As a result, you stuff your body with sugars and feel hungry in a short while. Desserts overloaded with sugar can make you feel sleepy and tired. If you feel hungry and want something for a dessert, avoid cakes, doughnuts, and pies. Opt for fresh fruit, which contains fructose instead of sugar while being loaded with vitamins and minerals. If you want something sweet and more or less healthy, consider eating dark chocolate with a high cocoa and low sugar content. Replace sugar heavy dessert with healthy fructose-filled fruits and your withdrawal from sugar can go smoother. Did you know that the majority of sauces you buy at the nearest supermarket is loaded with sugar? Ketchup, sweet and sour, and barbecue sauces have a high sugar content. If you can’t live without sauces for your everyday meals, opt for homemade products or replace ketchup with pesto, chili, mustard, and vinegar. Ideally, consider keeping the sauces out of your food altogether. They don’t just add the unwanted sugar to your diet but reduce your taste bud sensitivity, making you want sweeter and spicier food with each new meal. If you keep away from sauces for a month, you’d be amazed at how much flavor simple food has to offer. All processed food contains large amounts of sugar. Even Big Mac from McDonald’s contains 4 grams of sugar for every 100 grams of the hamburger. If you would be making such a burger at home, you wouldn’t even think of adding any sugar. The majority of fast food and other processed food contains plenty of sugar. The best way to avoid high sugar content is to cook from scratch. Only when you take fresh ingredients and deal with them yourself, you can be sure about the sugar content. Make it a habit to read the label. Even the food, which appears healthy at the first glance, especially the “healthy” snacks, may be packed with sugar. A healthy person shouldn’t consume more than about 25- 35 grams of sugar per day. It’s up to you not to exceed the limits.